A credit report shows a person’s history of borrowing money and paying bills. It's used to calculate a credit rating, which is a number that indicates how likely a person is to pay back their debts. Client wants to know how a bad credit rating affects their ability to get credit. Client asks about the effect of using a remedy under the Bankruptcy and Insolvency Act, including going bankrupt, making a proposal, or getting a consolidation order on one’s credit rating. Client has been turned down for credit and says the credit report is unfair or incorrect. Client asks how to get access to their credit file at the credit bureau. Each institution that a consumer obtains credit from has its own details of the consumer’s history with that institution. A person’s credit record is basically the accumulation of their entire credit history. Historically, that information was kept at a local credit reporting agency, called a credit bureau. Credit bureaus and other reporting agencies provided credit report information to creditors for a fee. 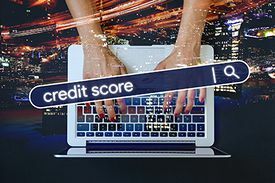 More recently, credit reporting services have been consolidated into national reporting services, including Equifax and TransUnion. These are not government agencies. Credit reporting is regulated by the Business Practices and Consumer Protection Act and the Personal Information Protection Act. The two Acts have a number of provisions that are important for the protection of consumers. Section 108 of the Business Practices and Consumer Protection Act restricts disclosure of a consumer’s file to people or businesses that have a legitimate reason for seeking the information, such as prospective creditors, landlords, employers and insurers. Under section 109 of the Business Practices and Consumer Protection Act, agencies must have reasonable procedures for ensuring accurate and fair reports. The section contains a number of restrictions and prohibitions about what information can be reported. For example, criminal record information can only be reported if there has been a conviction, and then only for a limited period of time. In general, information more than six years old cannot be reported. Information about a consumer’s race, belief, colour, sexual orientation, ancestry, ethnic origin or political affiliation cannot be reported. Section 107 and section 108(1)(f) of the Business Practices and Consumer Protection Act state that in most circumstances a report cannot be obtained unless the consumer signs a written consent. The Act allows creditors to obtain the consent on credit application forms. According to section 110 of the Business Practices and Consumer Protection Act, if a consumer is denied credit or the cost of the credit is increased because of an unfavourable report, the creditor must give the consumer written notice of the denial or the increase. Section 23 of the Personal Information Protection Act gives consumers the right to access their credit file. There are often misconceptions about a person’s credit record. A client may be misled or intimidated by what a creditor, such as a collection agent, says about their credit record. In some instances, a client’s problem may be resolved simply by informing the client of their rights under the Business Practices and Consumer Protection Act and the Personal Information Protection Act. If there is an issue about a client’s credit record, the client should first seek disclosure of their record. Access is available online for a fee from Equifax and TransUnion. Section 24 of the Personal Information Protection Act gives consumers the right to have any inaccuracies in the record corrected according to the procedures outlined in section 27 of the Act. To dispute or correct a credit report, the consumer may email or write to Equifax or TransUnion. Equifax will also accept dispute information by phone. Consumers may also file an explanatory note with the agency about any information in the file (Business Practices and Consumer Protection Act, section 111). If the client’s problem cannot be resolved at this level, they can complain to the provincial privacy commissioner. The privacy commissioner has the power to investigate and to order a reporting agency to amend a consumer’s file (Personal Information Protection Act, section 52(3)(d)). See also the People’s Law School pages on credit reports. This page was last edited on 12 October 2018, at 05:45.